RECRUITMENT DRIVE FOR MINISTRY OF HEALTH - QATAR, FREE & DIRECT RECRUITMENT. INTERESTED AND ELIGIBLE CANDIDATES CAN APPLY. MORE DETAILS GIVEN BELOW. Please read the Advt. 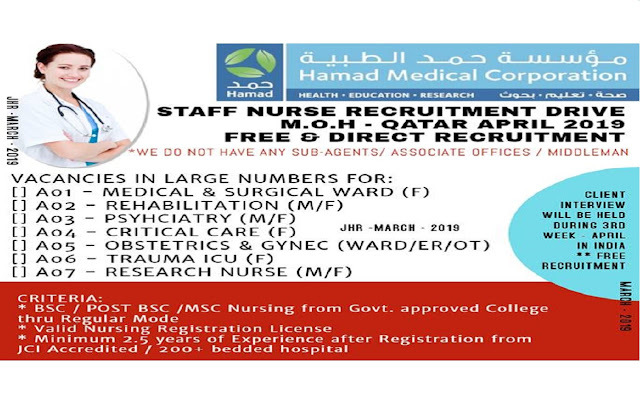 to know more details, only apply if you match the qualification and experience and speciality mentioned.